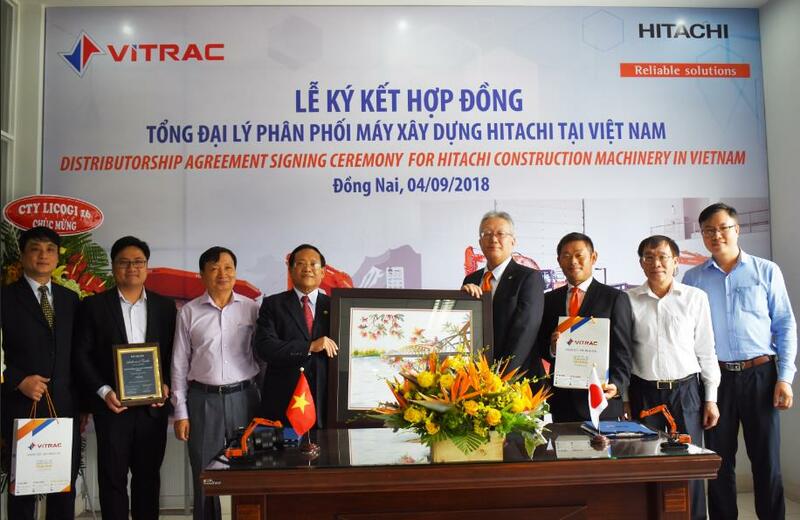 Dong Nai, Vietnam: 4th Sep 2018 – Hitachi Construction Machinery and Vinh Phu Corporation (VITRAC) have signed a dealership agreement to expand product offerings (Value Chain) to meet the needs of the growing Vietnam market. Vinh Phu Corporation (VITRAC) is a well-established company with more than 20 years of construction businesses experience in the field of supply construction machinery and equipment in Vietnam. The signing ceremony was witness by the present of Hidehiko Matsui, Managing Director of Hitachi Construction Machinery Asia & Pacific Pte Ltd; Tomoatsu Toki, General Manager of Hitachi Construction Machinery Co. Ltd; Mr. Nguyen Xuan Tuan, Chairman of Vitrac; Mr. Nguyen Xuan Thanh, General Director of Vitrac; Mr. Nguyen Chinh Son, Director of BIDV South Dong Nai branch; Mr. Mai Xuan Viet, Vice Director of BIDV South Dong Nai branch. “We are pleased to be having VITRAC as we expand our business growth in the Vietnam construction market. Therefore, finding a reliable partner is very important to Hitachi. We had deep discussion with VITRAC management, observe their services facilities and understand VITRAC’s technical internship program initiative which they work closely with the local educational institution. 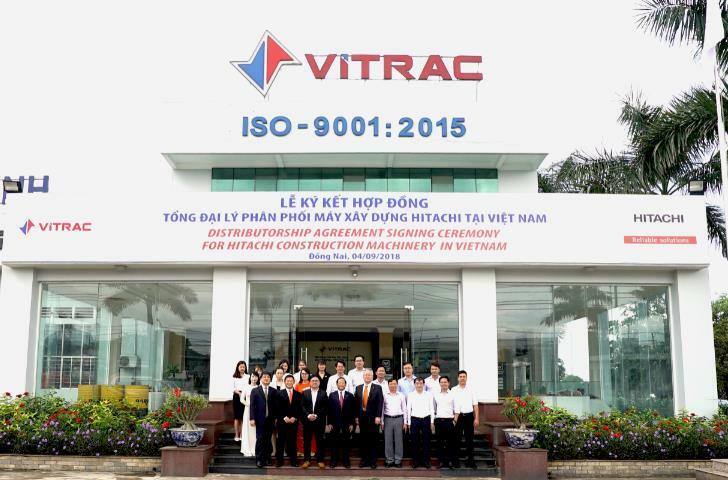 This gives us the higher confidence that VITRAC is the right business partner choice.” said Hidehiko Matsui, Managing Director of Hitachi Construction Machinery Asia & Pacific Pte Ltd, during the ceremony. Mr. Nguyen Xuan Tuan, Chairman of Vitrac (left) and Hidehiko Matsui (right) , Managing Director of Hitachi Construction Machinery Asia & Pacific Pte Ltd sign for dealership agreement.